On a recent journey West from Durango we found ourselves in the middle of nowhere Utah at a place called Hovenweep National Monument. 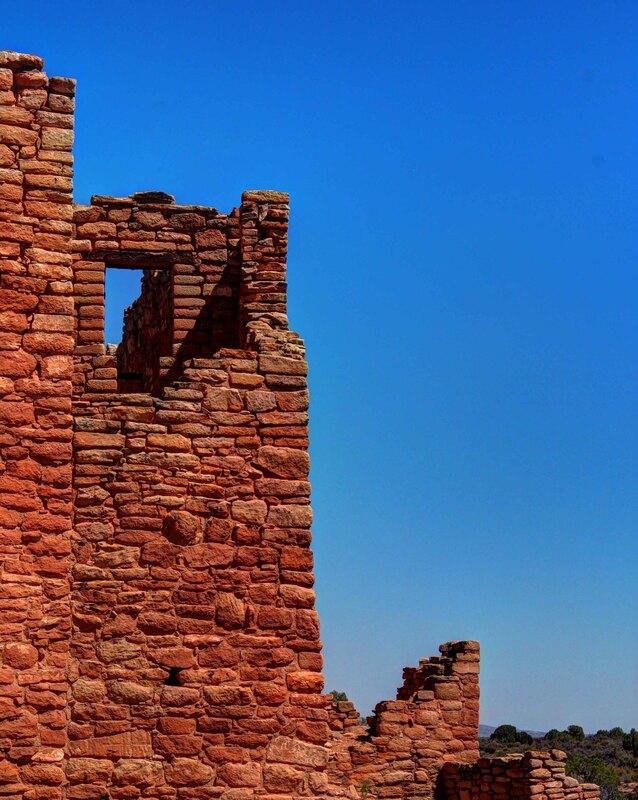 Hovenweep is a premier example of Ancestral Puebloan architecture. 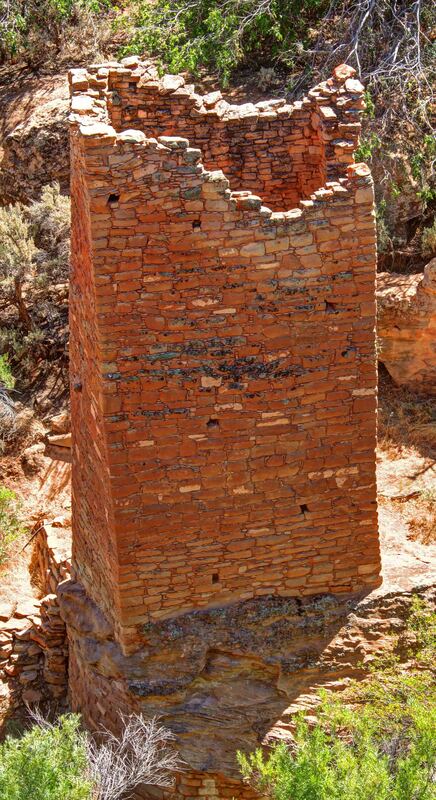 The structures were built almost 800 years ago and abandoned soon thereafter. The buildings stand today with no restoration in a harsh environment with high winds and extreme temperatures. where no one lives today. 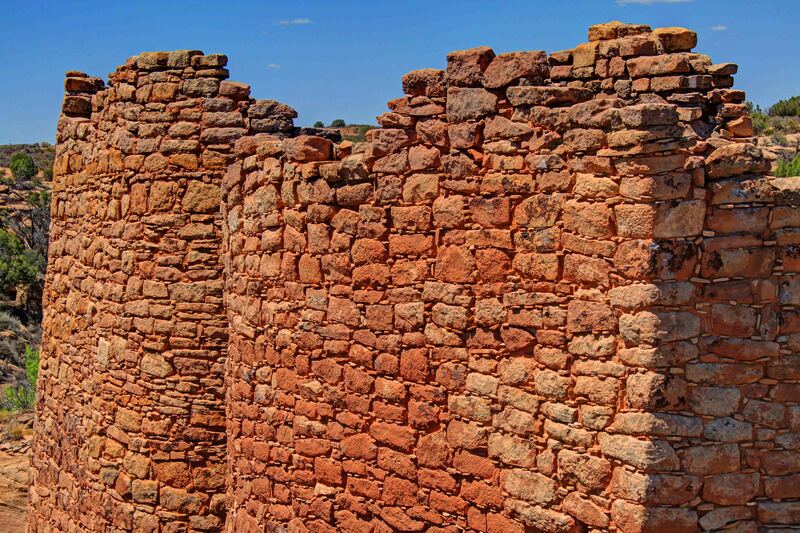 These were skilled architects and builders. Note the subtle twist in the square tower below. What were they thinking? William Henry Jackson, the pioneer photographer of the West, heard of the place from the Mormons. 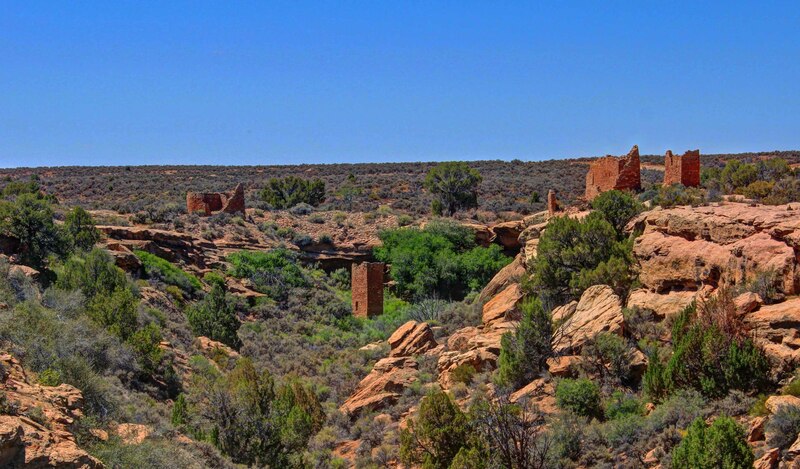 He visited it in 1874 and gave it a Ute/Paiute name which means deserted valley. Languages are fascinating….Hove weep is so Nederlands! Probably going through there the end of July on our way through Durango and back to Illinois. Looks like another great spot. I really like the color of the (adobe?) bricks against the blue sky. In the top left photo it looks like the section with the window had been added on. Interesting. Changes in color, design and texture.